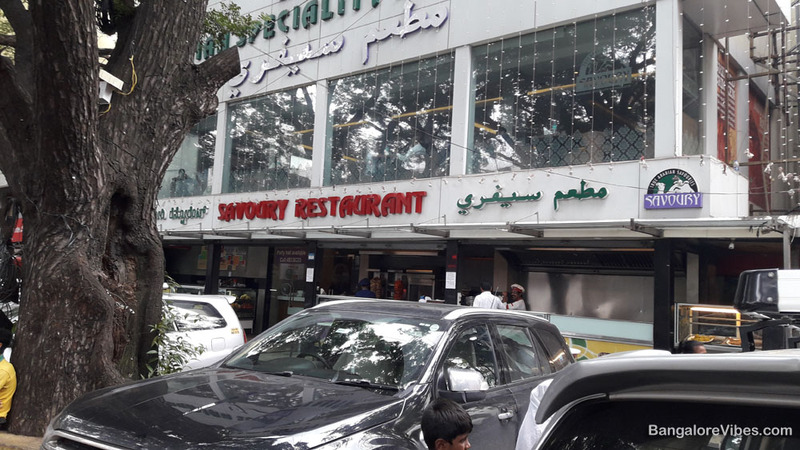 If you are in Frazer town, and a non-vegetarian, and hungry, try the Savoury Family Restaurant in the Mosque road. There are notably three high-class restaurants in the surroundings and my vote goes to this restaurant. I have eaten in all three restaurants including the Bucket Biryani that is a few blocks away. Of all of them, the Savoury Restaurant in Frazer Town steels the show. Be it in terms quality, quantity and pricing. The main concern for a motorist in Mosque road is parking. It is not that there is no space but all the space are full during the peak time. We tend to park our vehicle wherever little space is available. This little space is mostly a no-parking zone. The cops are just waiting there to tow your vehicle. Isn’t it? The restaurant, facing the main road, has a reserved space for car and motorcycle parking. The security guard, who somehow manages to identify the potential customers, guides them towards safe parking. Be it car or scooter. I am going little serious about parking here because of the issues I used to face when I frequented the Taj restaurant in Shivajinagar, Bengaluru. We were in Frazer Town’s Savoury Family Restaurant for lunch. The restaurant is not as big as it looks from outside. I suppose the restaurant occupies only the ground floor. However, the dining hall was adequate for about five to six medium sized families. The ambience was perfectly suitable for the families and children. As we occupied the table, nobody hurried to us to take orders. It took some time for the staffs to notice us. Probably they were busy. Finally, we placed our orders that took little more than five minutes to arrive. Any normal person who goes through their menu for sure will get confused. The menu mainly consisted of Arabic dishes. Without bothering much about the exhaustive menu list, we order for our regular dishes. How about chicken biryani? This restaurant offers two types of chicken rice – Chicken Biryani and Chicken Pulao. In case if you are not aware, there is a difference between Chicken Biryani and Chicken Pulao. Why not Google it? We ordered for Chicken Pulao and Biryani rice and half Barbeque Chicken. Our total bill was only Rs. 555/-. The pricing is very aggressive when considering the location, ambience and the quality of the food it offers. 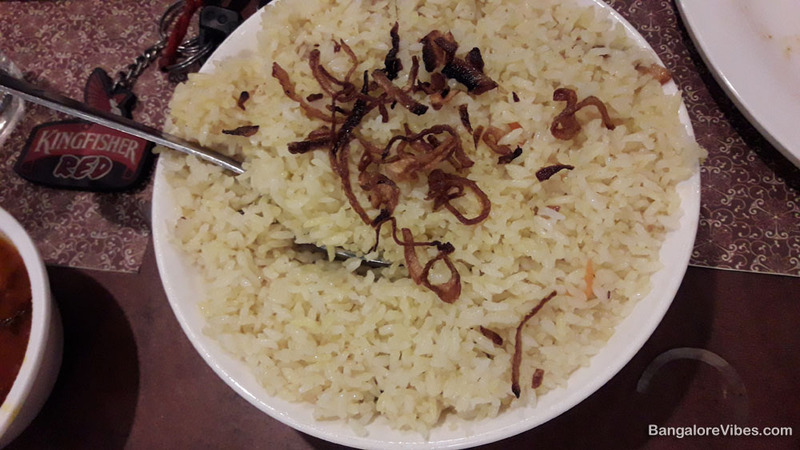 The chicken pulao, cooked in long gran basmati rice had small pieces of chicken. I liked this way. Some restaurants place a big chunk of chicken inside the biryani and we have to work around it. 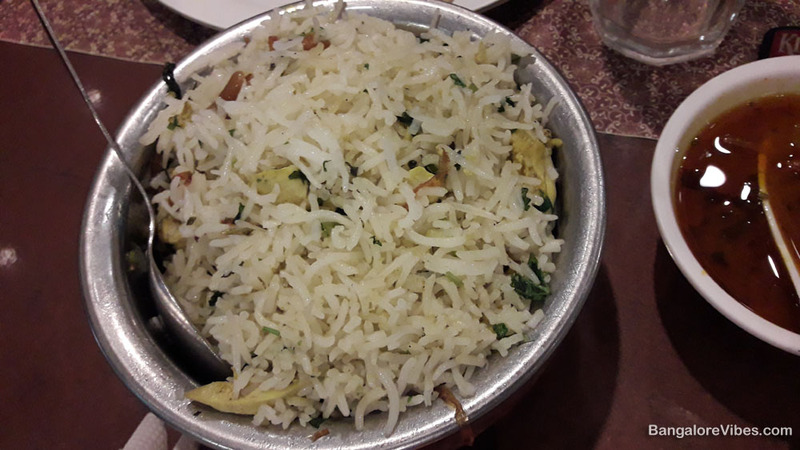 While the chicken biryani was little dry, the biryani rice was just opposite but equally tasty. In short, both the dishes are unique and worth a try. The barbecue chicken was an epic. I have no words to describe how I enjoyed it. 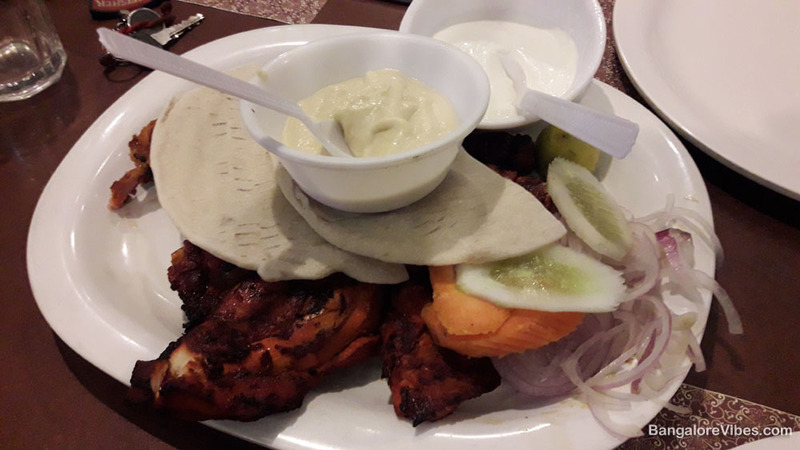 The plate consisted of perfectly cooked barbeque chicken, breads, onions, mayonnaise and one more sauce that tasted good. I don’t remember its name. I wonder how they manage to give two varieties of sauces. The Empire restaurant charges extra for additional sauce. The Savoury does not. We had a great experience in this restaurant. The Bangalore Vibes rates this restaurant 9/10. What is your rating?